ABM Industries Inc. (NYSE: ABM) is one of the nation’s largest facility management providers. 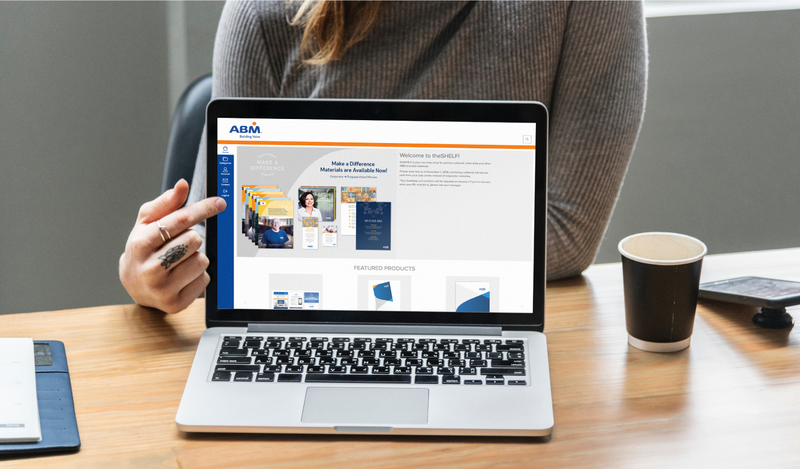 After a long and successful marketing partnership with Phase 3 across multiple marketing disciplines, ABM engaged our team to take their internal mission, Making a Difference, and help them bring it to life in a way that every employee could easily understand, believe, and act upon. 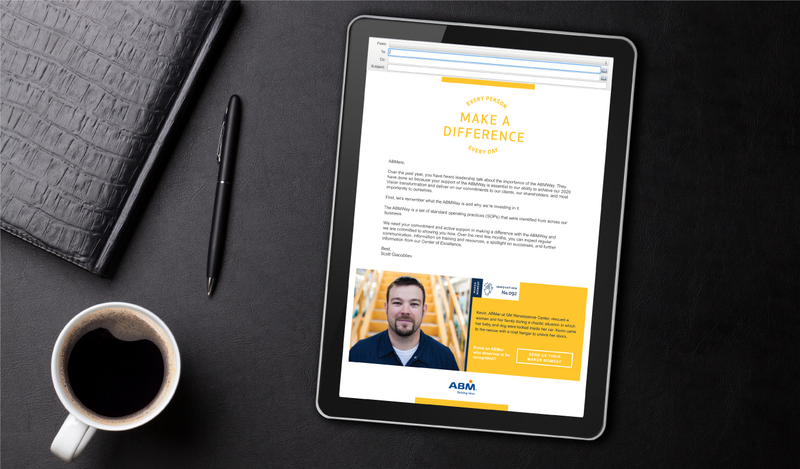 We partnered with ABM to develop an employer brand platform that aligns its internal culture with its purpose, vision and mission, and raise the service bar among its employees. In order to help ABM create a purpose-driven culture and formally socialize and activate their mission, we started by defining their culture of service, speaking with leadership throughout the organization to understand what Make a Difference means to them, to employees, to clients, and to the community. We collected hundreds of ABM stories and experiences from employees and clients: Employees locating lost jewelry; tracking down extremely important paperwork that had gone into the trash, saving children in locked cars; or even safely escorting families to safety during a mall shooting. We then mapped out the entire employee journey map—all of the possible touchpoints where employees can experience the mission. These inspiring stories or “maker moments,” are woven throughout everything from videos to onboarding materials and beyond. This initiative presented a unique opportunity to step back and think through how we could bring meaning to the ABM mission. 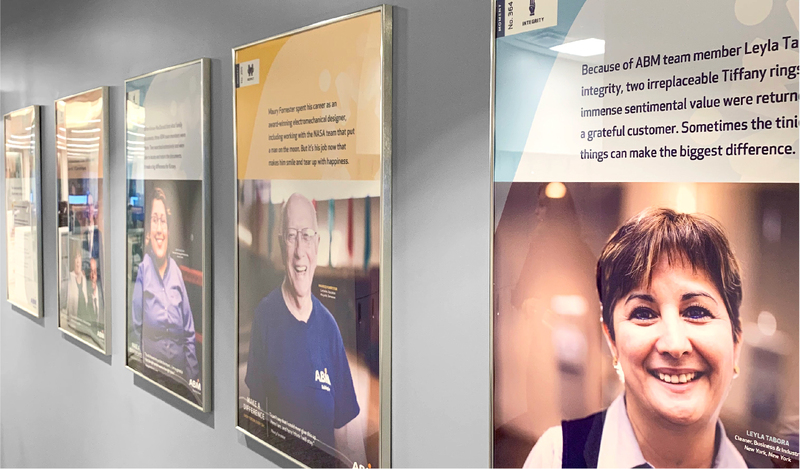 We explored all the possible ways to integrate this meaning throughout an employee's journey, and our collaboration led to a comprehensive approach that gives employees an authentic purpose and will create lasting impact. 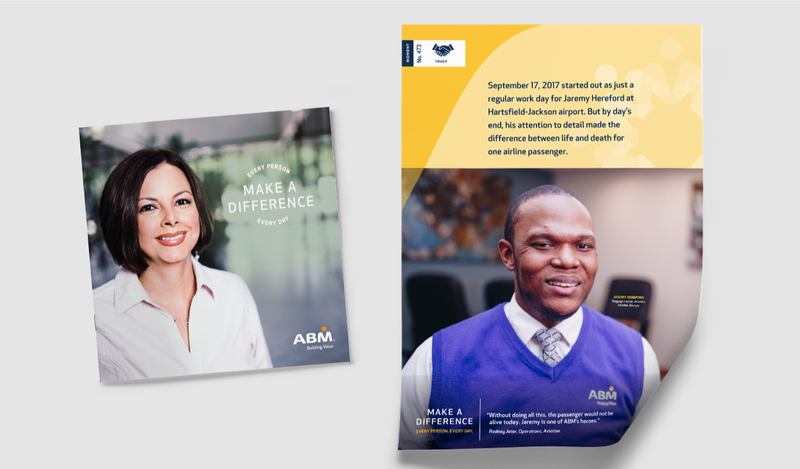 Over 130,000 ABM employees are sharing and living a single, meaningful mission. Over 500 "Maker Moments" employee stories have been collected. The Make a Difference campaign has been rolled out to 25 offices across the country. Now, with their employer brand platform, the company’s ability to Make a Difference has been captured through various stories that highlight employee’s effort to actually make a real difference for customers and consumers, giving employees an opportunity to live the company’s mission and unite the organization through a culture of shared beliefs. We captured the Make a Difference platform through a unique campaign narrative, including positioning, value proposition, and key messaging. The campaign was composed of a compelling visual expression and authentic photographic style that conveyed the message across a series of videos, posters, an email campaign, and a manifesto brochure.